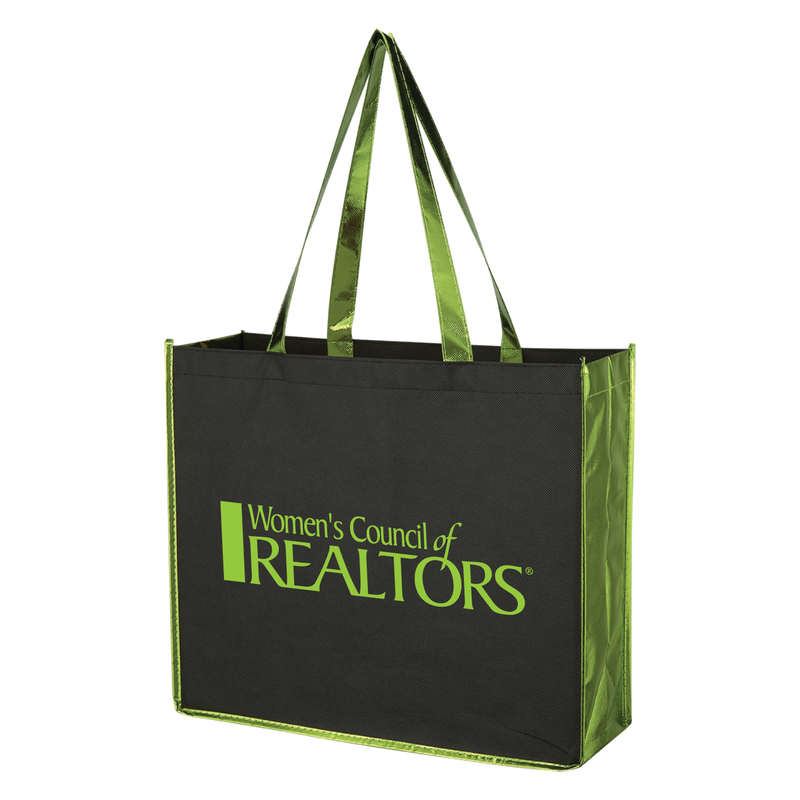 Use this shopper as a great reusable alternative to plastic bags! More colors (Silver, Blue, Gold) available on orders over 150 pieces. Write in comments section at checkout what color you prefer.